Ford is continuing its quest to improve the quality of its Ranger pick-up truck. With a US market launch looming near (and an Asia-Pacific refresh out real soon), Ford is reminding everyone that their engineers have resorted to pretty extreme measures to make sure the reliability and durability of the Ranger is up to snuff. 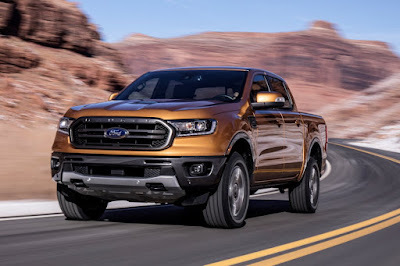 Using the same proven standards of the legendary Ford F-150, the 2019 Ranger is tested from the jagged trails in the Australian Outback to the Arizona desert. It’s even done grueling laboratory tests too harsh for humans to endure. “We torture every component, from its high-strength steel frame to its engine to its cloth and leather-trimmed seats, to ensure Ranger is ready for any season and nearly any terrain,” said Rick Bolt, Ford Ranger chief engineer. Ford’s rigorous approach to ensuring Ranger quality and capability starts in the lab, progresses to the proving grounds then is confirmed through intense real-world challenges in locations near and far. Although Ford has kept mum on the key features of the refreshed Ranger, expect it to gain the Everest and Ranger Raptor’s Terrain Management System. It’ll likely get features such as Blind Spot Monitoring as well as a host of other adventure-ready features. ^Will they also conduct a torture test of customers who avail of their after-sales services like PMS?